Dr Andrew Bennett is the Director of the Frame Alternatives Laboratory. 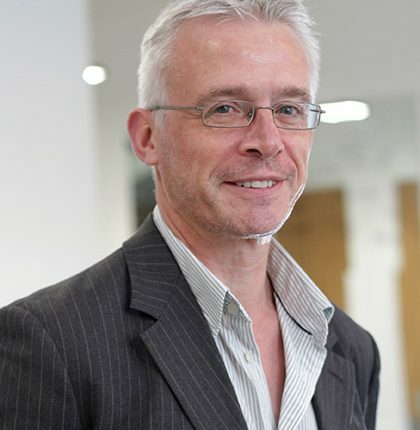 Andrew graduated from the University of Nottingham in 1987 with a BSc in biochemistry and genetics, and went on to complete a biotechnology PhD. Andrew has been involved in funded studies and has lectured on biochemistry for a number of years at the University of Nottingham, where he became associate professor in 2003. His interest in finding human-based alternative models led to him being appointed Director of the Frame Alternatives Laboratory in 2006, where he and his colleagues continue to work on primary human cell culture.